Posted in Young Creative Entrepreneur and tagged 100% Design, Abhijit Bansod, animation, British Council, British Council India, CII, creative businesses, dance, Design, entertainment, Fashion, film, games and social media platforms, Indian Design council, Interactive, London, London Design Festival, Music, NID, Performing Arts, Publishing, Screen, software, theatre, TV, Young Creative Entrepreneur Awards on January 12, 2012 by British Council India. The British Council has been pioneering to build a strong community and professional network of creative businesses, through the reward programme Young Creative Entrepreneur Awards. The awards help nurture enterprise across seven categories – design, music, fashion, screen (film, TV and animation), interactive (software, entertainment, games and social media platforms), performing arts (theatre, dance and “live” art) and publishing. It aims to inspire and facilitate the sharing of best practices in building skills and access to resources, professional development, markets, mentoring and resources to increase business opportunities between India, UK and internationally. YCE 2011 award was very special because unlike other awards it did not end on stage with trophy, but it actually started on the stage. YCE opened a new stage for us and offered an amazing journey , which even if you pay millions you would not get. As a part of YCE winner, British council planned a visit to UK for almost ten days, with events packaged for us with interaction, exposure, fun and learning. I was looking forward to meet other 23 winners from over 19 countries, truely once in a lifetime opportunity. London is awesome for many things but I specially like sweet smell in the air and seasonal day ( there are seasons in a year, but in London you might get all of them in a day ! ). 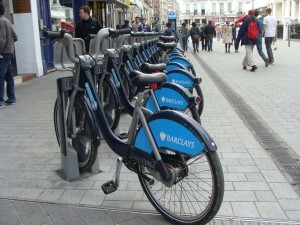 It is fun to walk all around in London, and nothing like exploring the city on bicycle, thanks to awesome support system created for hiring , returning bicycling ..
23 winners from 19 countries, I couldn’t even imagine what it will be like to meet and spend time with such a diversed set of talented people. In my wildest dream I wouldn’t have imagined that I would know so much about design and life in Estonia, Poland, Syria Turkey, Vietnam , Mexico and more. Each one of us had a very unique style of work and cultural values, but there was one thing in common; entrepreneurial energy. Everyone was on the same path of exploring their dream but on different stages of evolution and experiences. It was nice to see how each one has his/her own way to manage their own context and create magic with their work. Thanks to British Council for putting all of together, it was decade worth experience condensed in a week. London Design Festival and London Fashion Week happens at same time of the year, and i guess , it is not a coincidence, it is planned to pack as many design activities to promote London as creative hub of the world. Other interesting fact, all these events are privately run organizations. In context to Indian scenario, whole lot of us were hoping that Indian Design council, NID, or CII will run such activities, but I am convinced that it is not sustainable. We also need entrepreneurs initiating such activities here, and I think IDC, CII or Govt will happily support. 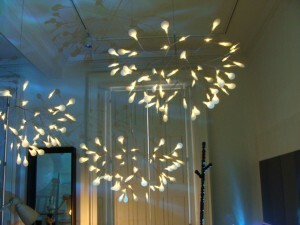 100 % Design is been great platform for designers to showcase their talent in home products, furnishings, and lighting. Visitor ranging from buyers, stores, distributors, and general people make the show very special. it has become launch pad for many upcoming designers to show case their talent. 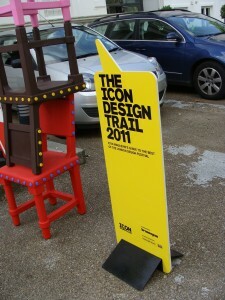 100% Design is very keen to have India pavilion in 2012 show and we have initiated the discussion amongst IDC and NID to explore this further. I will be personally pleased if we could take part in next edition of 100% Design and share new and notable with rest of the world. One of the key program of YCE award was to connect all designers to investors and see how design could play larger role in creative industry economy. There is great deal of interest from investors in Indian creative industry , especially in Design. This was the really the key outcome of YCE award, and this program includes mentorship to the Indian design firms to make them investor friendly and bring investment and partnerships which will impact the overall economic contribution in big way. It will also open up opportunities for many international collaborations with Indian design firms. I would like to thank British council for creating such wonderful launch pad for all of us, especially BC teams from India and London for making our experience memorable and enriching . Beyond all the business rewards from the program, there is one more thing I value the most; friendships with people from so many countries, truly a treasure. What do Priya Kishore (Bombay Electric), Vijay Nair (Only Much Louder) and Rajat Tuli (Happily Unmarried) have in common? Posted in Young Creative Entrepreneur and tagged British Council India, Business Ideas, Business Ideas for India, Business Opportunities, Communication, Design, Fashion, Interactive, Music, Performing Arts and Publishing, Screen, Small Business Idea, Small Business Ideas, Small Business Startups, Visual Arts, yce, Young Creative Entrepreneur Awards, Young Entrepreneurs India on June 7, 2010 by British Council India. These bright and successful entrepreneurs from the different creative sectors are the winners of the British Council’s Young Creative Entrepreneur (YCE) Award and a part of the YCE network. Managed by the British Council, these are the only awards in India that give recognition to creative entrepreneurship across the creative industries including Design, Music, Fashion, Communication, Visual Arts, Screen, Interactive, Performing Arts and Publishing. 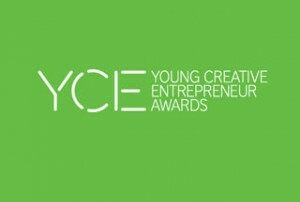 The YCE award programme goes beyond simply recognising the achievements of these entrepreneurs. It provides them a platform to begin a dialogue with their UK counterparts. The winners go on a study tour of their respective industry in the UK. It allows them to learn, imbibe and grow through inputs from both their UK and international peers. They also attend relevant trade events that helps widen their perspective. “The most important part of the program to me was the “Edinburgh Fringe Fest” and the meetings therein which opened up the possibilities of new formats of performing arts and collaborations. Post YCE, at evam, we have created two new properties – one which explores a new format for a play and another which is a platform to create the next generation art-entrepreneurs – YCE has helped us redefine our boundaries!” says Sunil Vishnu of evam Entertainment and YCE Performing Arts 2009. 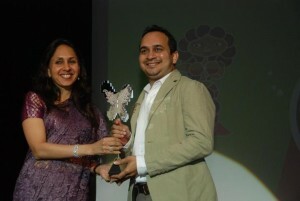 For Prathibha Sastry, founder of South Movie Scene Magazine, winning YCE Screen Award 2008 opened new doors for her. She has had the opportunity to go to Lithuania and will soon be visiting Poland for a film festival. The Indian economy also has a strong potential for growth by investing in creative enterprises but there is a definite absence of opportunities that provide international exposure and learning for creative entrepreneurs in India. “The program has given me the ability to imagine myself as a global entrepreneur and Phonethics as an organisation shares the aspirations and challenges faced by similar start-ups around the world“, says Saurabh Gupta, Founder & CEO, Phonethics, winner of the YCE Communications award in 2009. 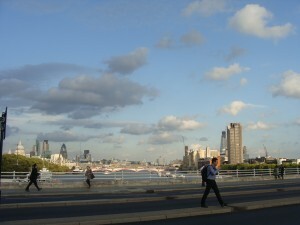 Saurabh went on to attend the C&binet forum on Nurturing Creative Content in the Digital Age. C&binet is a not-for-profit network created by the Department for Culture, Media and Sports (DCMS) to foster international dialogue about the creative economy focusing on access to finance for creative industries, new business models for online content, developing talent and securing creative rights. British Council has been developing a powerful professional network between creative entrepreneurs in India and the UK since 2005. Connected with the India YCE awards is the International Young Creative Entrepreneur (IYCE) programme which celebrates the achievements of entrepreneurs at an international level. Through an interconnected network, the awards aim to put the spotlight firmly on creative entrepreneurship. “The trip was a huge eye opener. Had I approached all the people I met for appointments individually, it would have taken me years to meet them. 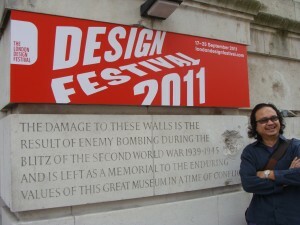 British Council insured that we met the best of the best.” says Rajat Tuli, YCE Design Award 2009. Recently British Council supported the participation of fashion entrepreneurs including Savio Jon, Shilpa Chavan, Anuj Sharma and Varun Sardana in a fashion show hosted at the Alchemy Festival in UK. Varun has now signed up with Blow PR, a fashion PR agency based in the UK. The awards and subsequent cross sector networking opportunities have led to much more than exchange of ideas. Alex Fleetwood, Founder Hide&Seek and winner of the UK YCE Performing Arts award is currently working with Amitesh Grover & theatre artists in the UK and Delhi to curate and produce a dual location Sandpit, an evening of social games and playful experiences. Debu Bhattacharya, Theme Entertainment / Infinity Films, the YCE Screen 2007, has signed a MoU with Sheffield Doc Fest to provide an international launch pad for Indian documentary projects. It also includes development of a fund to boost production and development of the documentary film industry in India. *. 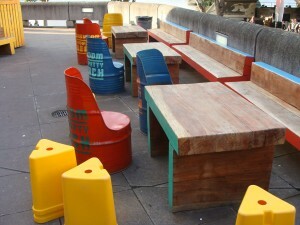 World Bank Urban development needs creativity: How creative industries affect urban areas. **. OECD Factbook 2007 – Economic, Environmental and Social Statistics, 2007. #. Creative Industries Economic Estimates Statistical Bulletin 2010, DCMS.